Last week on August 29 Russian hybrid army hold tank units training on the territory controlled by so-called Lugansk People’s Republic. Several separatists and Russian media were recording that event. In the video that was posted the head of separatists Igor Plotnitskiy arrived to the training ground on a car that had Russian plate on it. 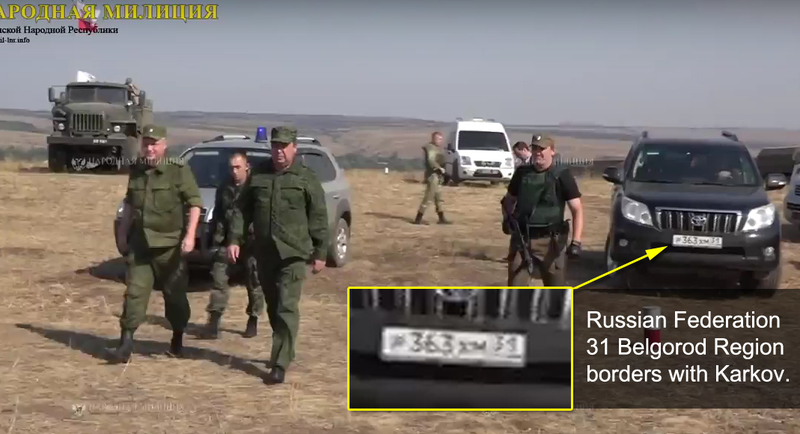 According to the number on the plate the car is registered in Belgorod Region that borders with Kharkov Region. Security Service of Ukraine has reported several times already that pro-Russian terrorists who are active in Kharkov and who were detained before were trained and coordinated in Belgorod by FSB, Russian Secret Service. 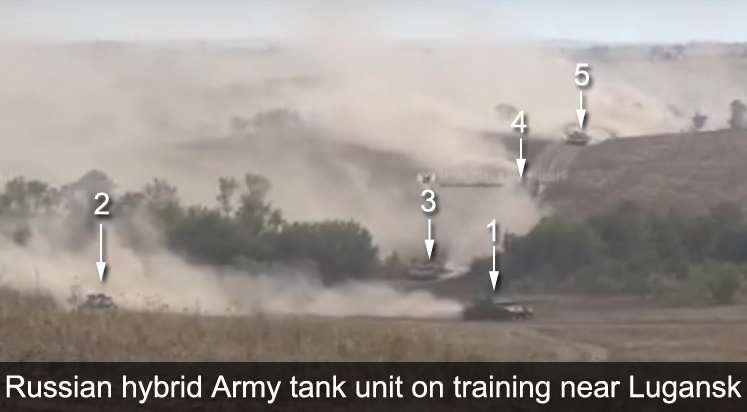 This kind of training indicates that Russia is not going to follow Minsk Agreements, and they are not training for defense. In the last weeks the Kremlin propaganda that controls the media on occupied territories of Ukraine are constantly threatening local population that Ukrainian Army is going to attack any moment. Also according to Minsk Agreements the territories should be returned under control of Ukrainian authorities and the control over the Russian-Ukrainian border should also be returned to Ukraine. This battalion training is a classic example of breaking through the enemy defense line. First there is artillery attack, after that tank battalion is breaking through enemy defense, motorized infantry battalion covers the flanks. 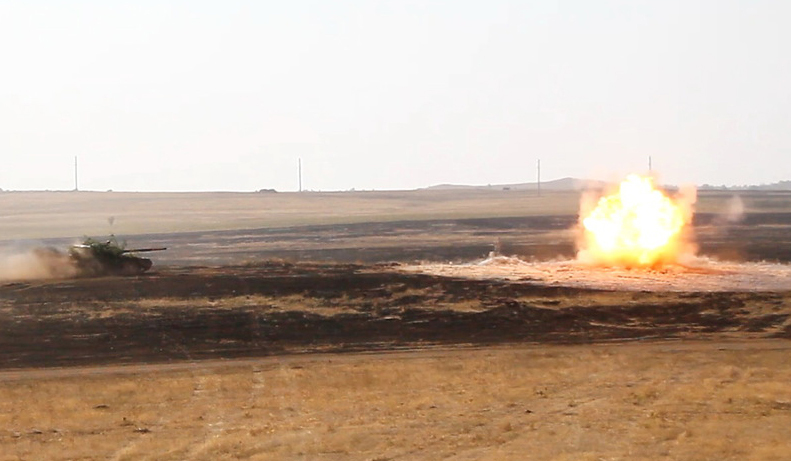 Also motorized infantry battalion goes behind tank battalion and successfully finishes the operation. There is one goal: unity, understanding, skills and learning. This kind of training shows that Russian hybrid army (aka combined Russian-separatists forces or pro-Russian separatists) is getting ready for another round of escalation with a goal to sabotage Minks Agreements and force Ukrainian government to accept peace plan on Kremlin conditions. This may happen in case successful Russian assault operation on the East of Ukraine. 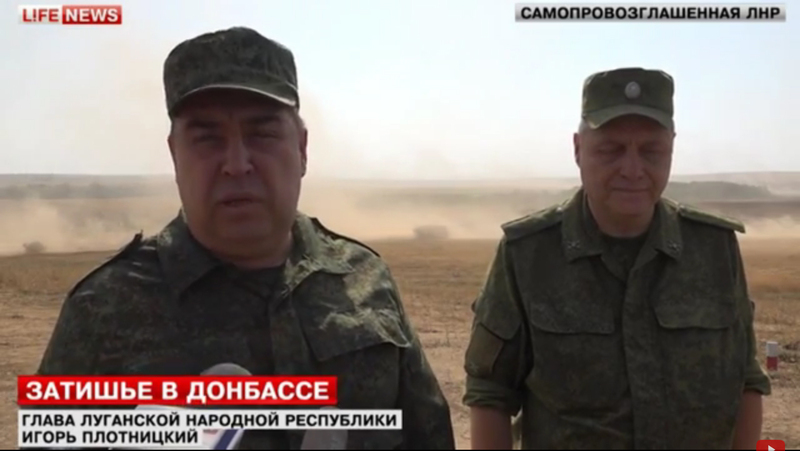 The next video was posted by local Lugansk media, the part with the Russian is not there.